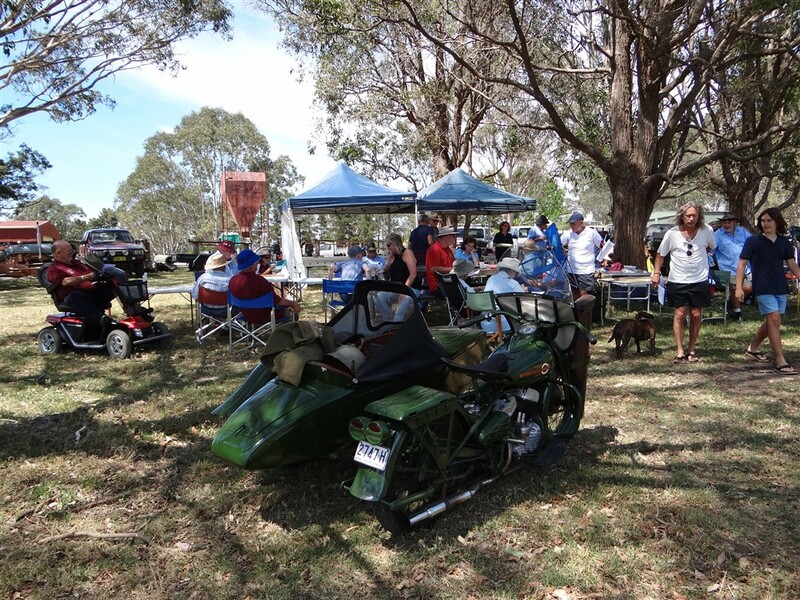 Christmas '16 meeting - Moruya Antique Tractor & Machinery Assoc. Inc. 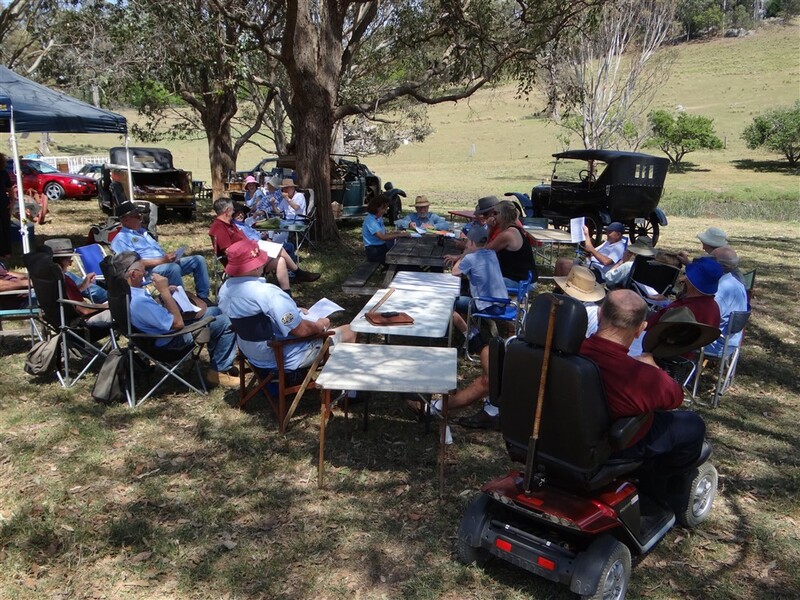 Combined Club Field Day, December '16 meeting and Christmas get together. 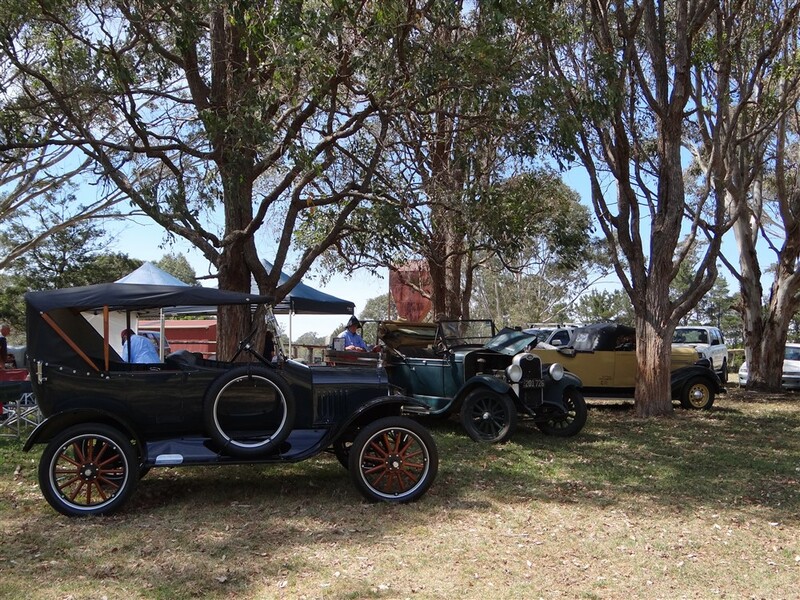 Club members recently gathered at Dean & Robin Price's place for the club Christmas party. We took advantage of brilliant weather, a fantastic, true blue location, and held our December meeting there at the same time. 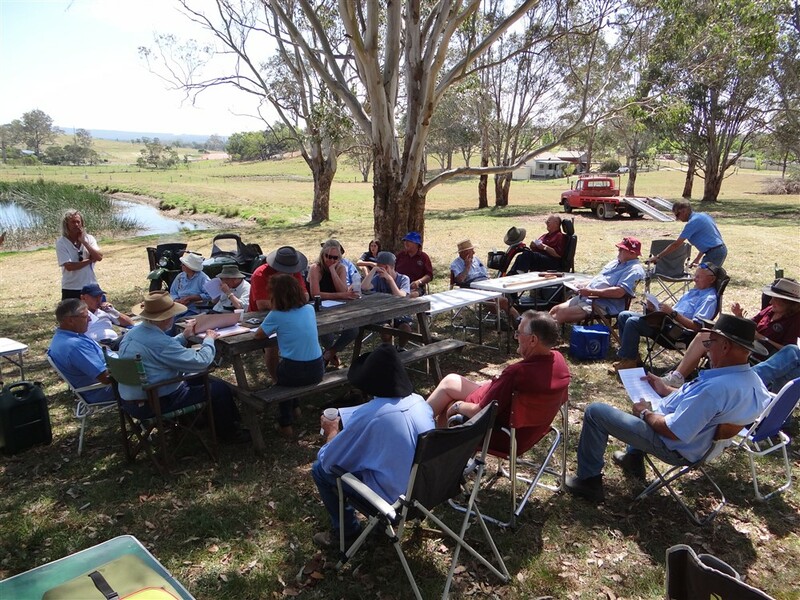 The pictures below show the meeting, under the gum trees, beside the dam and before the real fun started. You know, ploughing, cutting timber, running engines and generally just playing around with tractors. 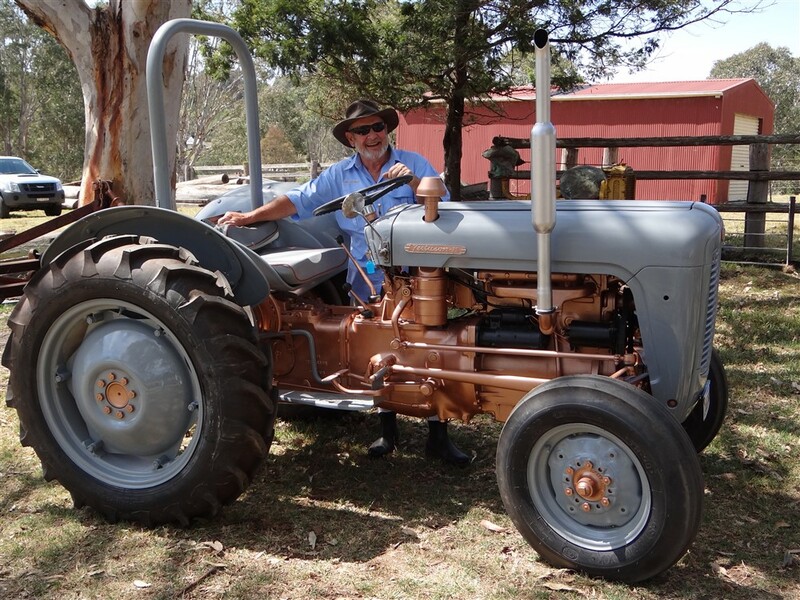 The first outing for Ken Jarmans freshly restored Fergy.... showing off its proud owner. "Anastasia" ('21 Model T) "Jethro" ('28 Chev) and as yet un-named 1936 Fargo ute. 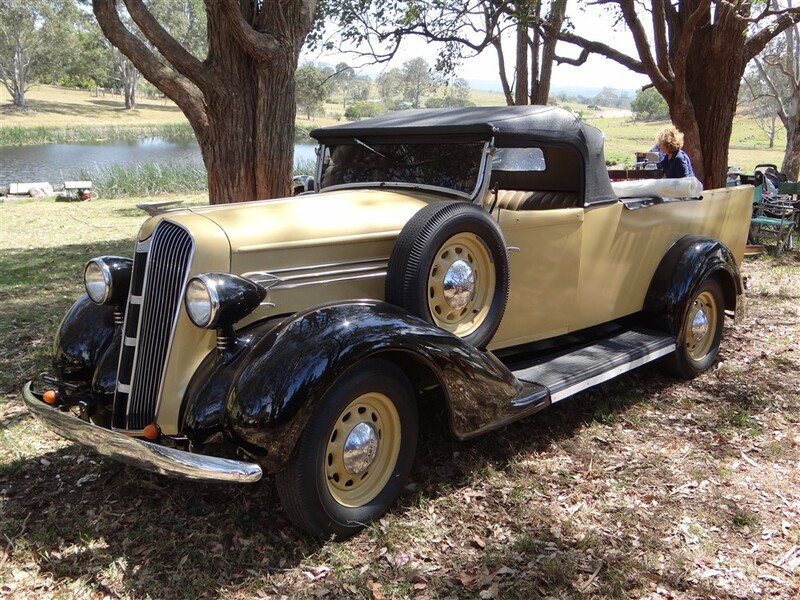 Deans '36 Fargo ute is a fairly rare beast. 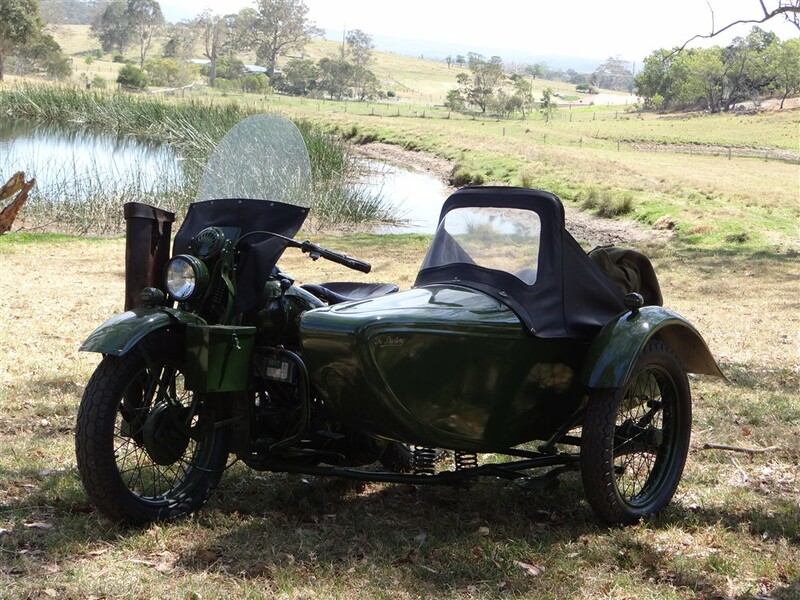 It has an Australian Roadster utility body. Most were Coupe utilities.